J. Crew’s current winter catalogue features artists Ryan McGinness, Chris Dorland, Vito Acconci, Stephen Shore, Lucien Smith, Glenn Ligon, and Billy Sullivan in their studios…. posing for J.Crew talking about art and fashion. Yes, Gap did the Red Campaign, and collaborations with artists for charity is not new…. but this J.Crew feature seems all a bit contrived. Especially with the few too many shots posed non- chalantly drinking Starbucks. Vito Acconci – Shoes. I need to be sure I can get somewhere else. 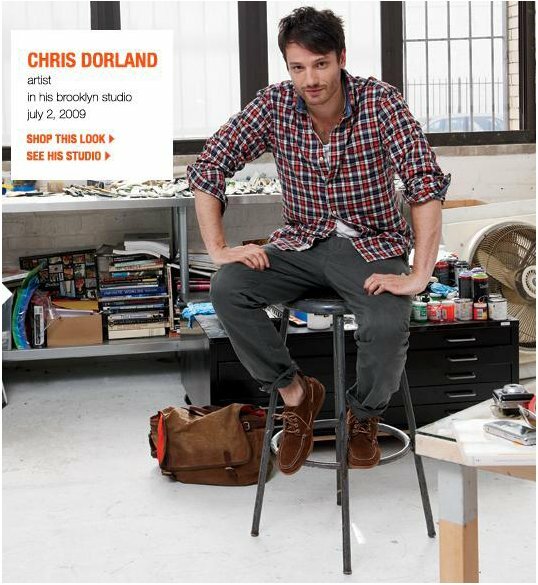 Chris Dorland – White V neck T-shirts. Lucien Smith – A jacket. You can sleep on it if you need a pillow. 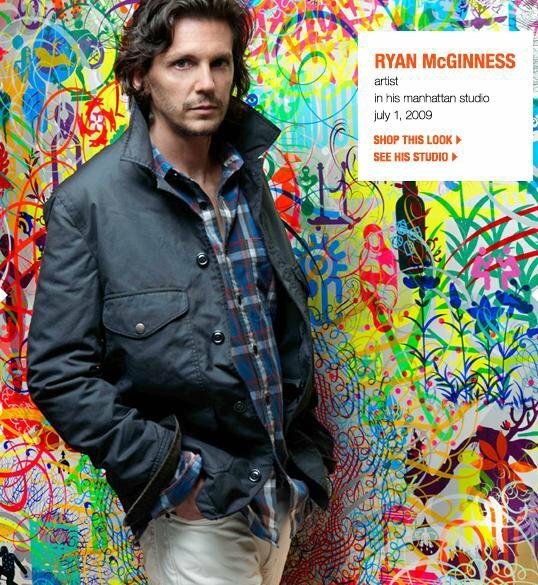 Ryan McGinness – 100% cotton. No button down. Lots of starch…. and he looks very fine in it indeed. Great Art Blog!! I'm linking to you right now! 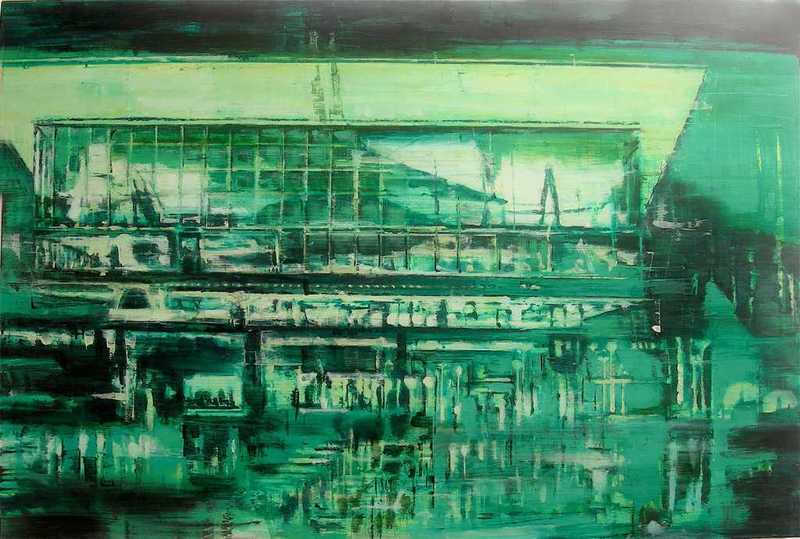 Also a Nice post… We Love Chris Dorland's work.. amazing emerging artist people need to keep a watch for!